By William H. Gass, Gass William H.
This grand teetering monstrosity could only have been penned by the now dead virtuoso author William Gass (1924-2017). The writing style is an ungodly blend of ranting, sheer nonsense, limericks, poetry, and alliterations, which resonate with deep pain and bitterness. The imagery as well rockets out of control and it seems like the verbal and visual fireworks are never ending. The narrator flows between musings on his current life (slowly losing his mind in the basement of his home), morbid childhood, and that of a researcher on Nazi Germany. This book is a true monument to insanity. Thirty years in the making, William Gass's second novel first appeared on the literary scene in 1995, at which time it was promptly hailed as an indisputable masterpiece. The story of a middle aged professor who, upon completion of his massive historical study, "Guilt and Innocence in Hitler's Germany," finds himself writing a novel about his own life instead of the introduction to his magnum opus. 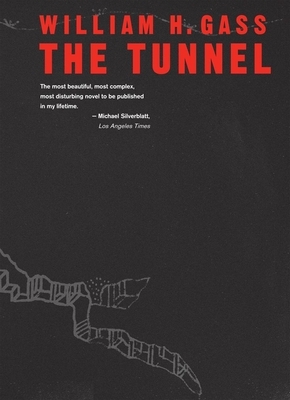 "The Tunnel" meditates on history, hatred, unhappiness, and, above all, language.